American history, family and racial identity are among the evocative themes running through the Pulitzer Prize-winning poetry of Natasha Trethewey, who served two terms as the 19th Poet Laureate of the United States from 2012-2014 and is now Board of Trustees Professor of English. Trethewey is the author of five collections of poetry: Domestic Work (2000), Bellocq's Ophelia (2002), Native Guard (2006), for which Trethewey was awarded the 2007 Pulitzer Prize; Thrall (2012); and, most recently, Monument: Poems New and Selected (2018). In 2010, she published a book of nonfiction, Beyond Katrina: A Meditation on the Mississippi Gulf Coast. 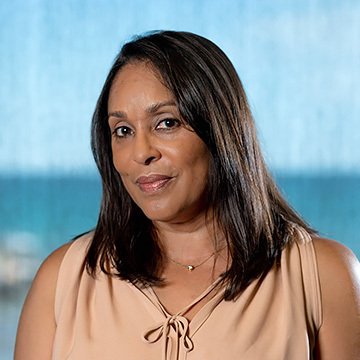 Trethewey earned her MA from Hollins University and her MFA from the University of Massachusetts in Amherst. She is the recipient of fellowships from the Academy of American Poets, the National Endowment for the Arts, the Guggenheim Foundation, the Rockefeller Foundation, the Beinecke Library at Yale, and the Radcliffe Institute for Advanced Study at Harvard. In 2013, she was inducted into the American Academy of Arts and Sciences, and in 2017 she received the Heinz Award for Arts and Humanities.